While the warm weather and outdoor spectacles such as the Honda Indy is quite agreeable, my long-time spent under the sun again fought my skin. Yes, for the three year in a row, I'm reporting how I have burnt myself after spending a day at the Honda Indy. However, I'll note that this year I was able to greatly minimize my sunburn after learning through past visits the measure I need to take in protecting my skin. One of the obvious measures for beating the extended periods of direct sunlight was to go inside. The Direct Energy Centre, the Media Centre as well as a Honda display set up behind the circuit's Gold grandstands served as not only shelter but two existed as spotlights of entertainment. 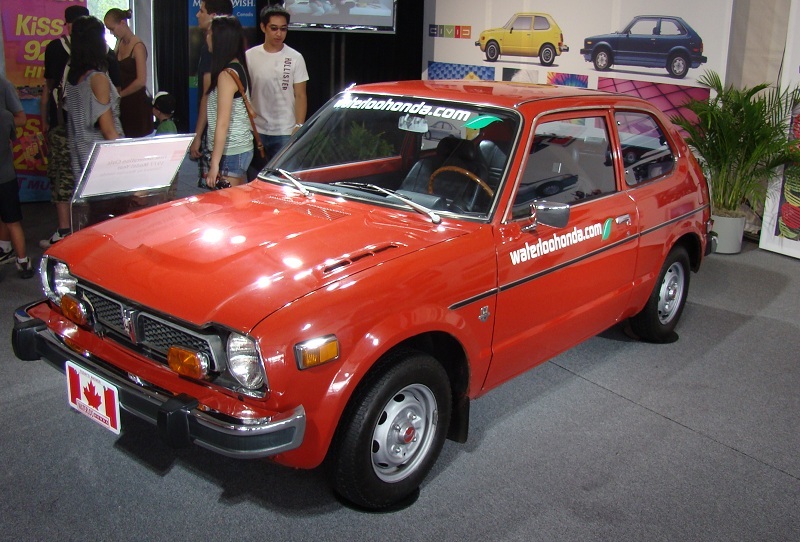 Assembled in a temporary building, the Honda display featured a large assortment of automobiles. From a first-generation Honda Civic dating back to 1973 inside, the newest ninth-generation 2012 Civic sat. Embracing the outside with the 2012 Honda Civic, a fleet of modified late model production cars that included Acura NSX models were found around the sheltered area. With production cars in the open of daylight, ironically two race cars resided inside the Honda Indy display. Two cars relating to Canadian open wheel racing great Paul Tracy, a replica of the #8 Make-A-Wish Canada-sponsored Dragon Racing Indy car the 'Thrill from West Hill' had been wheeling around the 11-turns of the Toronto street course in 2011 sat. 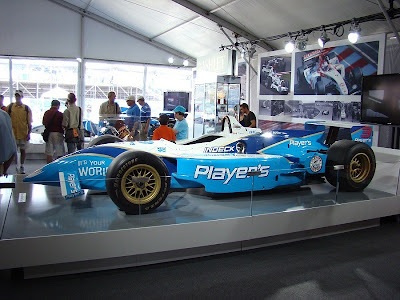 Beside the modern Dallara chassis, a Lola chassis wearing the Players livery and the #3 represented the latest Forsythe Racing car Paul Tracy drove in 2003 to a commanding flag-to-flag victory in the now-defunct Champ Car series. Though the show car was presented in speedway trim (note the smaller, flatter wing pieces), I was not entirely sure if this car was the exact Lola chassis Tracy won the 2003 Toronto race. Another detail I noted on the car was the absence of the Ford Blue Oval badges. Though it is sensational for Honda to bid honour to Canadian racing history, I feel it is a bit of a 'tsk-tsk moment' for Honda to display the vehicle with elements of its authentic livery deleted. Concluding their morning practice session, the IZOD INDYCAR teams and drivers lead themselves back to their paddock area. In the early track time for the 2011 Honda Indy of Toronto, the Target/Chip Ganassi Racing #10 car of Dario Franchitti posted the early benchmark time of 1 minute, 1.5676 seconds. Only 6/100th of a second ahead of Penske's Helio Castroneves, Ryan Hunter-Reay, Justin Wilson and Will Power rounded out the top-5 in the morning practice. The crews as well the drivers accompanied Indy cars being commuted back to the IZOD INDYCAR paddock area. Almost every driver rode motorized scooters seeking a quick travel back to debrief with their teams prior to lunch. Reassembling myself along Gasoline Alley, I watched as several drivers such as Graham Rahal, Marco Andretti and the fastest driver in practice Dario Franchitti rush back to their team haulers. I even caught 7-time Toronto race winner, now IZOD INDYCAR superteam owner Michael Andretti proceeding back to the pit road area. 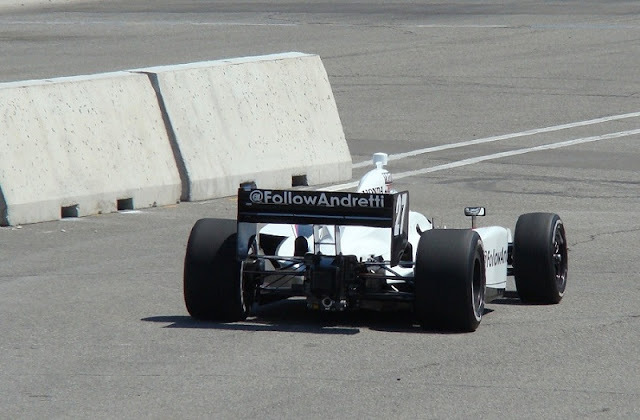 In my closest experience following the first IZOD INDYCAR practice at the Honda Indy was with #78 HVM Racing driver Simona de Silvestro. Simona de Silvestro was racing in Toronto two weeks after missing the Iowa Speedway round due to failing a post-concussion test following a crash at the Milwaukee Mile. Catching her quickly as she proceeded to her team's hauler lot, only getting a few seconds to talk with Simona de Silvestro, I simply expressed how it was great to see her competing at Toronto understanding the way the last half of June went for the Swiss driver. She said “thank you” but seemed more preoccupied with finding speed in her HVM Racing Dallara-Honda. 23rd of the 26 cars that logged speeds on the Toronto race track after the first practice, its easy to assume de Silvestro had the pursuit of speed on her mind. A quick meeting, it was nonetheless eventful for a person who has difficulty engaging in conversation; such as myself. 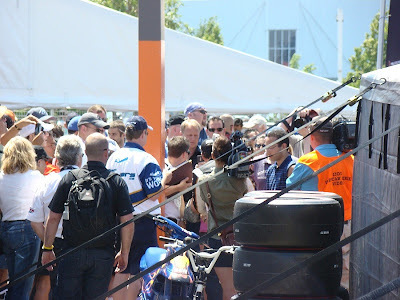 Immediately following practice, a large portion of the wonderfully immense crowd positioned themselves politely alongside one of the IZOD INDYCAR team's paddock work stalls. Standing outside of temporary fences and barriers, the race fans's most ideal scenario is to capture a look at their favourite driver. 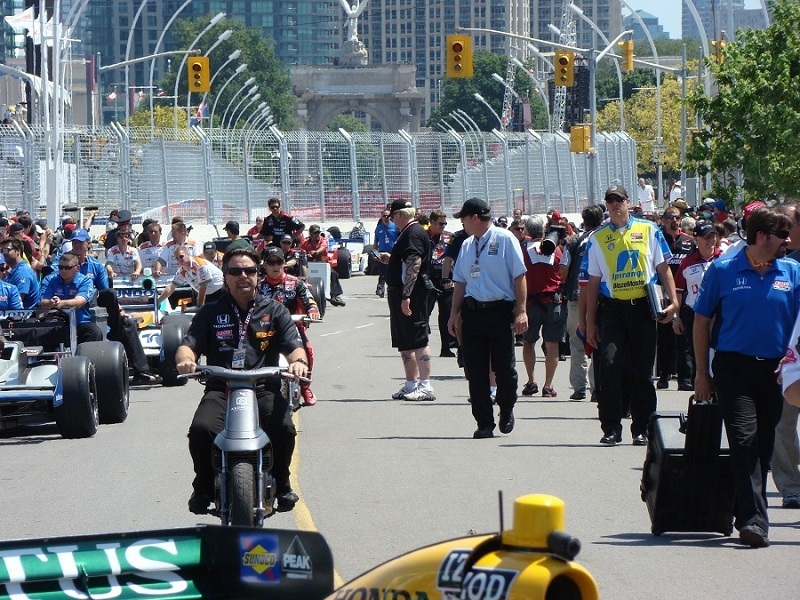 As can be expected at this first of two Canadian races, Alex Tagliani garnered a gigantic crowd outside of his #77 Sam Schmidt Motorsports team paddock area. The fastest Canadian driver in the first practice at the Toronto track, Tagliani returns to Canada after gaining international attention as the Indianapolis 500 pole winner earlier this year. In a related story inside the IZOD INDYCAR Fan Zone, Hot Wheels finally released the diecast version of the blue Hot Wheels-sponsored car Tagliani drove last year. For whatever reason, I did not buy the 1:64 scale replica vehicle and I'm continuing to regret it weeks after the Honda Indy. As the morning completed, my first camera battery chose a most convenient time to give up its juice. With hotter weather and some pivotal action upcoming, I prepared to reload for the afternoon action at the 2011 Honda Indy of Toronto.